At 43 years old Anthony 'The Man' Mundine believes not only will he defeat Jeff Horn in the River City Rumble on Friday, he expects the fight to be stopped. Horn's camp have been vocal in doubting whether the Aussie boxing veteran has the fitness to last all 12 rounds with Horn, and it seems Mundine has no intentions of it going the distance. "I’ll be the one that’ll cut him up," Mundine told SEN Radio. "He’s going to be cut, he’s going to be bleeding and the fight will stop from rounds seven to 11, in-between there." 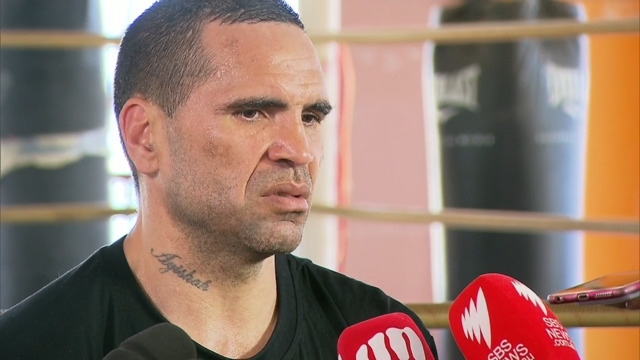 Though he's 13 years older than Horn, Mundine says his experience will be what brings down Horn. "His awkwardness, his unconventional style, his grittiness, his toughness and his ruggedness, he’s got a lot of factors that work for him. But as far as the sweet science of the sport, as far as skill-wise, there’s levels to this and he’s not on my level," Mundine said. "I’ll finish stronger than what he’ll finish, I’m too seasoned and I’m too experienced." 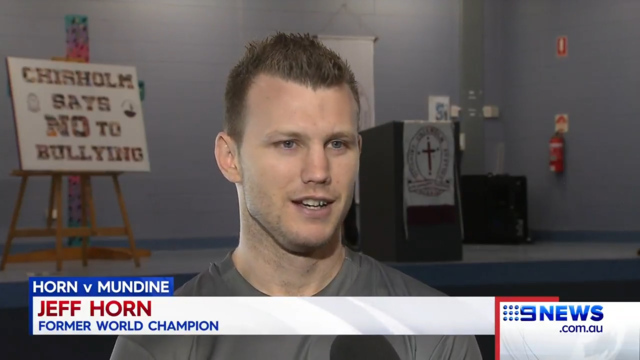 The ex-NRL player will take on Horn at Suncorp Stadium in the Queenslander's first fight since his defeat to American Terence Crawford in June. That bout was Horn's first defeat as a professional and ended his reign as the WBO welterweight champion. Crawford didn't allow Horn to settle in the fight, staying away from the ropes and peppering Horn with a barrage of punches. Mundine believes he can emulate Crawford and simply wear down Horn physically. "I done 12 rounds with three different sparring partners last week in the heat, 30 second break, he's going to be puffing before I be puffing, believe me," Mundine said. Mundine has had to cut weight to get to the 71kg limit for the fight - and faces financial penalties if he comes in over at Thursday's weigh-in. He's confident he'll avoid those fines however and thinks the lighter weight will enhance - not limit - his fighting ability. "I made weight last week ... I know they're banking on me not to be strong," Mundine said. "I'm seasoned. I'm experienced. I'll go 12 - I'll go 15 rounds - I'm ready to go."